Shop online for over 200 gclaser model trains at discounts up to 25%. Buildings is the most popular of the 8 gclaser model trains categories, then Roadway, and Trackside Accessories. This is the Z Scale Fence & Gate Sections Kit by GC Laser. 18 Linear Inches of Fence w/4 Gate Sections. 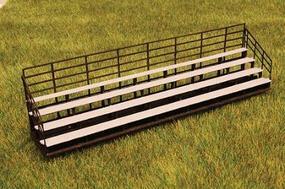 This is the HO-Scale Bleachers Kit by GC Laser. 4-1/2 x 13/16 x 1-1/8'' 11.4 x 2.1 x 2.9cm. 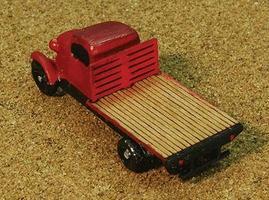 This is the HO Scale Stake Truck Bed Laser-Cut Wood Stake Kit by GC Laser. Fits Classic Metal Works 1941/46 Chevrolet Single Tandem Semi-Tractor (#31154 and #31155). TRUCK NOT INCLUDED. This is the N-Scale Tool Shed (Laser-Cut Wood Kit) by GC Laser. 1-9/32 x 1 x 15/16'' Footprint. This is the HO-Scale Gas Meter (2 Each of 2 Styles) kit by GC Laser. 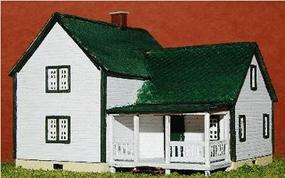 This is the Z Scale Farm House Kit (Laser-Cut Wood) by GC Laser. 2-1/4 x 2 x 1-11/26''. This is the Z Scale TNSA Flat Truck Bed by GC Laser. Fits ARCHITECT #30028 & 30029 Truck Castings. Not included. This is the by GC Laser Camper Pickup Truck Bed Kit Fits Classic Metal Works 1941/46 Chevrolet Pickup Truck. #30266, #30267, #30268, #30269 and #30370. TRUCK NOT INCLUDED. This is the Z Scale Tool Shed pkg(2) Kit (Laser-Cut Wood) by GC Laser. 13/16 x 15/16 x 5/8''. 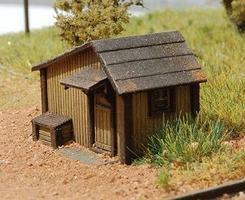 This is the West End Shack N Scale Kit by GC Laser. 3/16 x 1-5/16 x 1-1/2 .5 x 3.3 x 3.8cm. Laser-cut cardstock construction with laser-etched cinder block, door and windows with acetate glazing, stoop and railing. Scenery , figures and details not included. This is the Meter Socket (4-Pack) Kit - 2 Styles in HO-Scale by GC Laser. 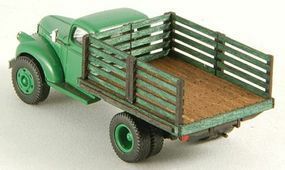 This is the HO Scale Laser-Cut wood Flat Truck Bed detail kit by GC Laser. Fits Classic Metal Works 41/46 Chevrolet Double Tandem Semi-Tractor (#31156 and #31157). . TRUCK NOT INCLUDED. This is the HO-Scale 3 x 12'' Lumber Load. Two 14' Loads by GC Laser. This is the O-Scale Produce Truck Bed Kit by GC Laser. Fits Athearn Model A Pickup Truck Beds. Truck NOT Included. . . This is the Z Scale Pennsylvania Railroad Passenger Shelter Kit Circa 1911 (Laser-Cut Wood) by GC Laser. 11/16 x 7/8 x 7. This is the HO Scale 18'' Radius Curved Grade Crossing. Fits Code 83 & 100 Rail pkg(2) by GC Laser. This is the N-Scale 3 x 12'' Lumber Load Kit by GC Laser. Two 14' Loads. This is the HO-Scale Team Yard Office Kit by GC Laser. 3-7/8 x 2-1/2 x 2-1/2'' 9.8 x 6.4 x 6.4cm. 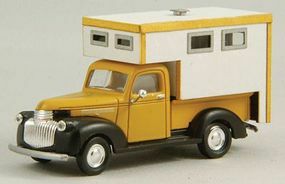 This is the HO Scale Stake Truck Bed Laser-Cut Wood Stake Kit by GC Laser. Fits Classic Metal Works 1941/46 Chevrolet Double Tandem Semi-Tractor (#31156 and #31157). . TRUCK NOT INCLUDED.